Has Audi lost its halo? You have probably heard of the “halo” effect and indeed halo cars. The concept has become common enough among auto makers. The notion is that a particularly breathtaking car can burn brightly enough in the minds of buyers that it blinds them to the mundane reality of the rest of the range. 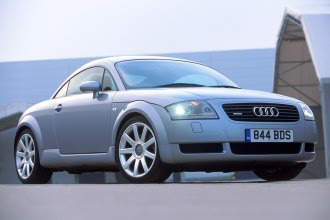 The iconic Audi TT, for example, did an outstanding job in helping Audi A3 buyers feel that their pricey hatchbacks might be a cut above the Volkswagen Golf on which they're based. The TT was apparently not consciously designed as a halo car, but many other showcase models have had their halo buffed and applied from the outset – cars like Ford's resurrected GT40 and Alfa Romeo's 8C Competizione were built almost exclusively with marque polishing in mind. But just as the right car at the right time can transform a brand, we wonder whether the opposite is true. Take, for example, the Audi Q7. If the company had set out to deliberately design an anti-TT, this lumbering 4x4 would likely be it. The original TT was modestly proportioned, restrained, balanced, neat, unfussy and confident. The Q7, by contrast, looks heavy, clumsy, flash, fussy, brash and over-confident. And it sends out the wrong messages at a time when traditional Audi strengths like efficiency and technology are really starting to matter to buyers in general. While there is a certain amount of Vorsprung durch Technic about the Q7, overall it's more Übergroße durch Dummheit. Driving behind a Q7 this morning it struck us: this car manages to make us feel less warmly disposed towards everything Audi and much less likely to buy a four-ringed car as a result. We don't like it, and the knowledge that it exists taints the rest of the range. So we wonder, is it just us? 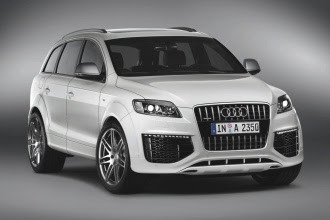 Or is the Audi Q7 an anti-halo car? A car with cloven hooves?